Are you a Disney fan? Have you seen all the adorable Disney Valentine crafts out there? 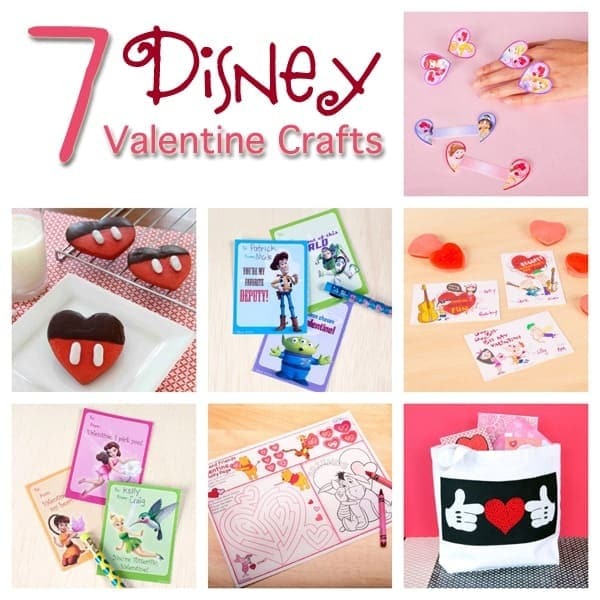 There’s only a couple days left before Valentine’s Day, so if you need some last minute ideas for your Disney crazed kids, be sure to check out this goldmine of Disney Valentine crafts over at Spoonful.com! At the end of January I was going through Spoonful and Kaboose looking for many of the Valentine’s Day crafts I had made for them over the years. I put together this round up of 28 Valentine’s Day Crafts for Kids, all of which I made during my tenure with Kaboose. I really miss crafting for them! While I was doing all that searching and browsing, it was hard not to notice all the fun Disney Valentine crafts they had, and several printable too. Here’s a fun collection for you to peruse. I can happily say that as a family we have visited both Disneyland in California and Disney World in Florida. I was lucky enough to attend Food Blog Forum, which was sponsored by Disney. That was in March of 2012 and I’m crossing my fingers to be able to attend again this year. If you haven’t been to Disney, you must add it to your Bucket List! They really go all out and the experience is different than any other. Happy Valentine’s Day everyone!